Nicole L Steevens has worked in the field of Special Education for over a decade and is a lifelong lover of children’s literature. She has a Masters in Special Education and a Bachelor of Primary Education from the University of Sydney. Nicole has loved working with children in Australia and the United Kingdom and last year specialized in teaching literacy to Aboriginal (First Nation) children in rural British Columbia, Canada. Nicole was inspired to write the Tom Brown, Sit Down series to introduce young children (ages 3-7) to a character who is cheeky and out-of-the-ordinary. She has always admired and appreciated the way that children, both with and without special needs, fall in love with picture books and their characters. 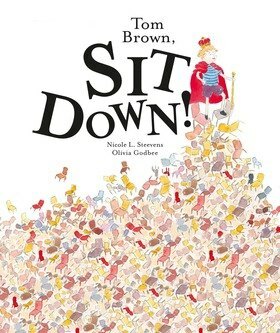 Later this year Nicole will be running a Crowdfunding Campaign on Kickstarter to raise awareness of and pre-sell her first picture book, Tom Brown, Sit Down.